The Atlanta Opera has already decked its halls, and we are now ready to “fa, la, la” this holiday season! If you’re wondering how you can get into the holiday spirit, look no further than The Atlanta Opera Holiday Concert. In our third annual holiday concert, eight selected soloists from The Atlanta Opera Chorus will be performing at All Saints’ Episcopal Church. 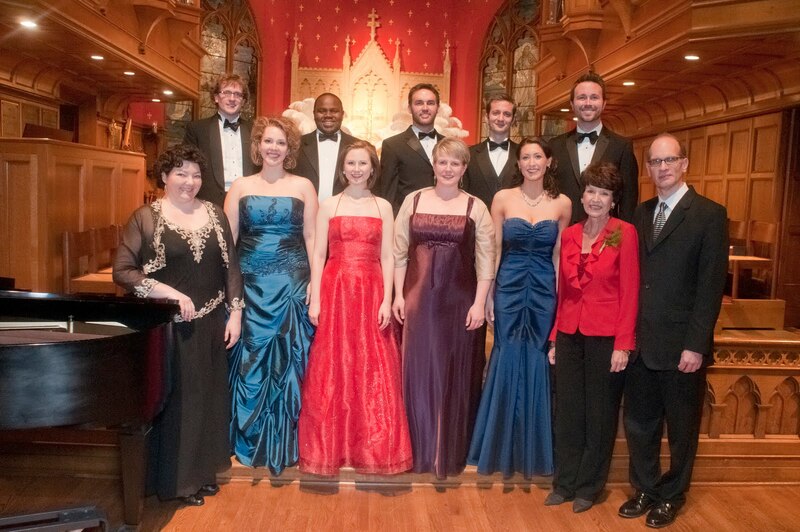 The ensemble will be joined by organist Peter Marshall, and conducted by Atlanta Opera Chorus Master, Walter Huff. The concert is a special tradition for us, and we thought that for this week’s blog, we’d speak to Walter, and get the inside scoop on what makes this concert the perfect opportunity to ring in the holidays. Enjoy! 1. How did the Holiday Concerts get started? They started about three years ago. 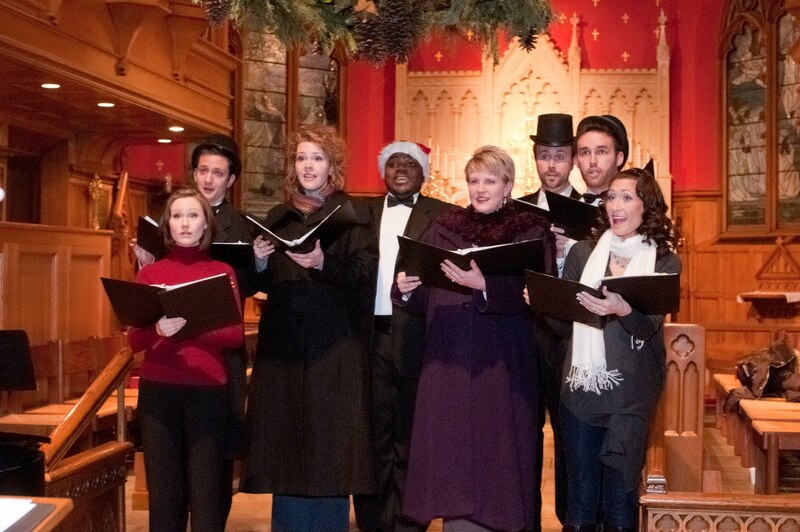 We’ve always wanted to do something during the holidays as an opera company. 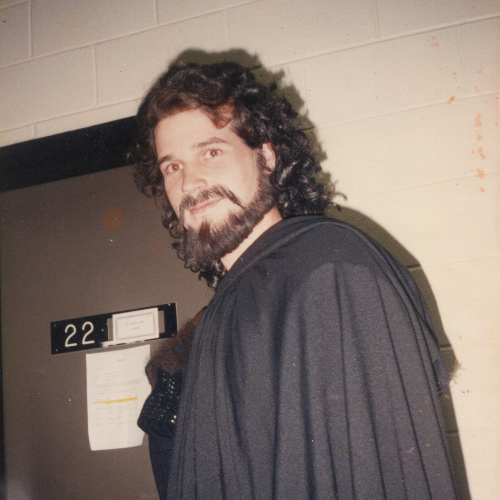 Years and years ago, the opera presented Menotti’s Amahl and the Night Visitors at Spivey Hall. We did that opera for about five years during Christmas, and it was a lovely event. This, however, was probably 15 years ago, if not even more. Since then, there really hasn’t been anything, and Dennis and I had been interested in presenting a Christmas performance with The Atlanta Opera Chorus. But presenting the full chorus in December is almost impossible, with their schedules. So, I had the idea of selecting eight choristers who would be a good fit. Linda Bailey, who is the coordinator of the All Saints’ Episcopal Church concert series, began to communicate with the Opera about hosting a Christmas concert there. And the Holiday concerts have been an incredible success. We sold out the first year. The second year we did two performances. This year, we are doing one performance that is expected to sell out. There really is nothing like this concert on the Atlanta concert scene during the holidays! The All Saints’ Episcopal Church is a beautiful setting. It is accessible, and stunning. 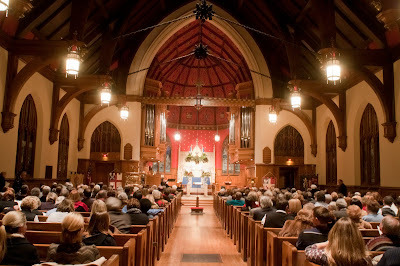 It has Tiffany stained-glass windows, candlelight, and it is a great place to hold the concert. This church seats about 450, so it’s not small, but it’s also not overwhelming. It sets a scene for a nice, intimate evening. 2. What will the repertoire be this year? The music ranges from sacred to secular. At times, all eight singers perform together as a small chamber ensemble, and then there are duets, trios, and each singer has a solo piece. Every singer is showcased, but they are also singing together in a great choral blend. We are performing a wide variety of music by Bach, carols in French, German, and Welsh. There is even a beautiful early colonial American Christmas carol, a gospel piece, and a nice arrangement of the “12 Days of Christmas” from the King’s Singers. This year will be interesting in that we are also doing an excerpt from Amahl and the Night Visitors that we used to put on at Spivey, so that will be a nice connection to our past holiday programs. This concert is similar to a PBS holiday offering. There is great variety, and truly, something for everyone. 3. Do you have a favorite piece, or one that you are most looking forward to performing this year? It is a 90-minute program with twenty selections, and thirteen of them are new for this year. It’s very hard to pick a favorite! I think the Gospel piece “Come to the Manger” is a great selection, sung by Tim Miller, who was part of our Porgy and Bess cast (2010). We are also doing a very nice arrangement of “White Christmas,” which is new. And I love our lush arrangement of “Silent Night,” and a beautiful Italian carol for tenor that Pavarotti made famous. We also have boy soprano, Will Trimble, joining us for the excerpt from Amahl. He did this solo at First Presbyterian, so that will be excellent to have him joining us. We end with a spectacular finale of “O Holy Night” with the whole ensemble, and this piece is a great ending for the concert. 4. This concert certainly sounds like an excellent outlet for your chorus members, as well. It is. Because we generally work in a large ensemble of about fifty, it is great for us to get to work together in this small chamber ensemble. 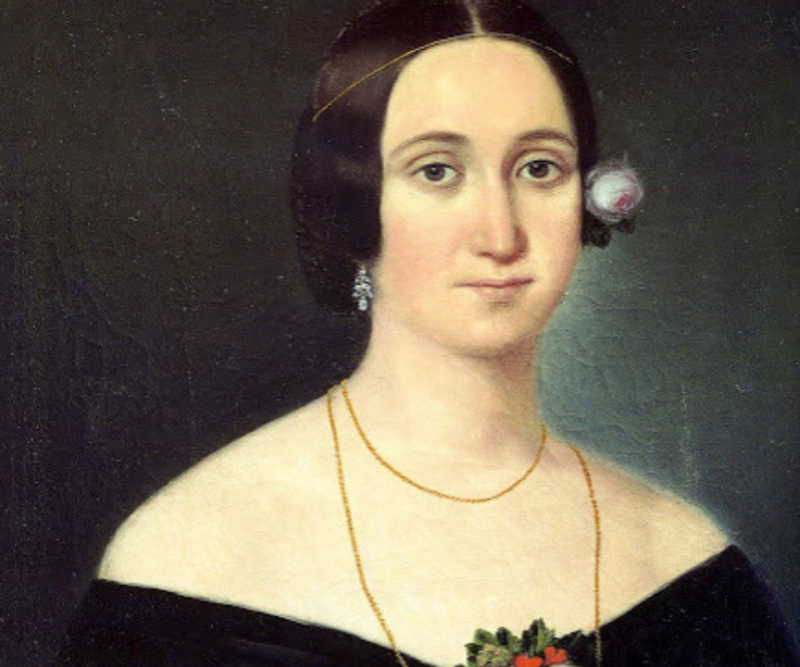 You need that unique singer that is not only very viable by themselves, but also can exist really well in a choral situation. That is why this concert is so special. There are choral concerts on every corner during the holidays, but because we have a small, but very trained and talented group of singers, our concert is a real treat to hear that mix. Some of the singers in this concert are currently singing with The Atlanta Opera Chorus, and some are alumni. Five of the singers have participated in this concert every year. It is accompanied by Peter Marshall on the organ, who is an instructor at Georgia State, and the Principal Keyboardist with The Atlanta Symphony. 5. How long are you and your ensemble able to rehearse for this concert? We met in September to talk about the program. It’s hard when you have a success like this [concert], because you don’t want it to be the same every year, but you do want to keep everybody’s favorite pieces. I actually brought two audience members from the previous concert, and asked them, “What would you hate to see go [from the concert]?” That helped us in our selection, and was a nice way to get feedback. Once we had the program solidified, we rehearsed whenever we could this fall in between Lucia di Lammermoor rehearsals, and have been rehearsing more intensely as the concert gets closer. 6. What makes the concert different from other programming that you do? This concert is different in that we get to explore cross-over repertoire. This concert involves opera singers singing secular music and more popular pieces, but still singing it in a classical fashion. Many opera singers are now releasing Christmas cds, and to help select repertoire, I listened to many of these. It allowed me to explore different vocal and musical styles. Which means that I have to choose singers who can do that, which is also fun! There has to be chemistry between the eight singers to create a product that is uniquely theirs. 7. What are some of your favorite memories from the last concert? With last year’s concert, I remember it being incredibly cold that evening– 11 degrees, to be exact. And what was so funny about this was that the dressing rooms were in a separate building from the sanctuary. So at the beginning of the concert, and then again at intermission, we had to traipse across from that building a good ways to the sanctuary with some of the female singers freezing in their evening gowns! But I think the main memory I have is that with the first concert, you feel like you have something special, but very different, so you’re not sure of the reaction that you’re going to get. 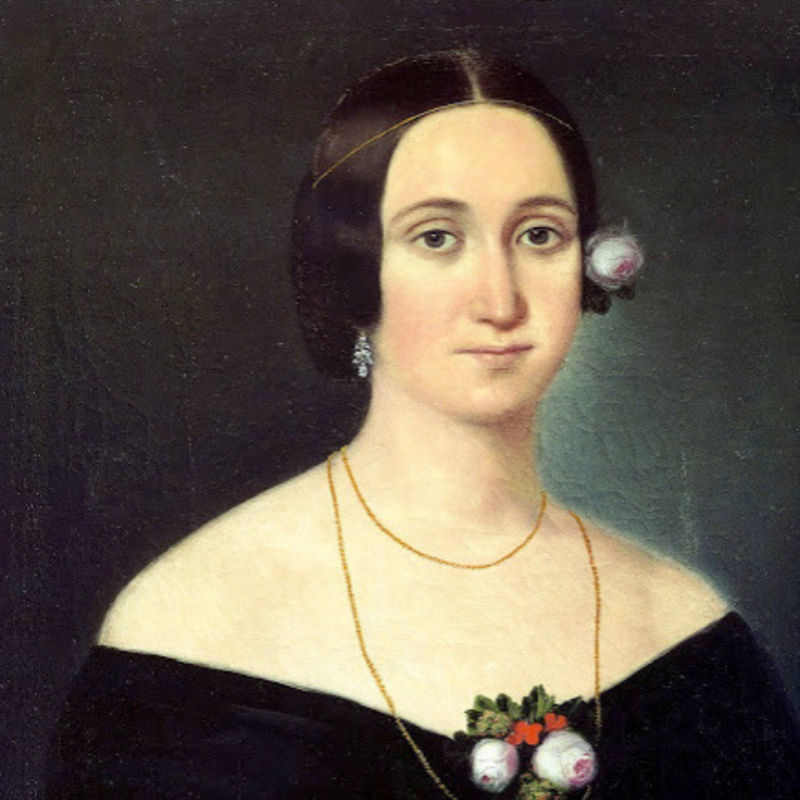 It was a packed concert, and I was so pleased because the [audience] reaction was tremendous. I think that’s the best memory for me. The concert really seemed to work for something that was actually very new and different to the holiday offerings here. 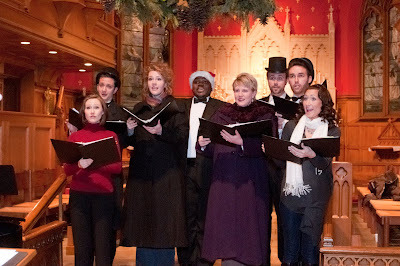 The Atlanta Opera Holiday Concert will be a wonderful event that you will not want to miss. It is a joyful evening full of talent, fun, and beautiful music. With tickets starting at $30, this concert would make a perfect Christmas gift for that friend that is hard to buy for. If you would like to see a preview of this concert, check out the videos below of tenor Tim Miller singing “Come to the Manger,” and of the ensemble singing a fun arrangement of “Jingle Bells.” For more information on how to buy tickets for the Holiday Concert, visit our website. We hope you’ll join us on December 13th at 7:30pm for this wonderful holiday tradition!